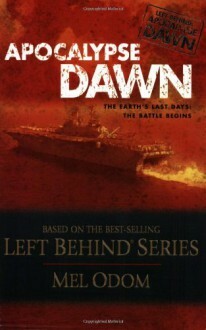 From the decks of U.S. Navy carriers patrolling the Mediterranean to Fort Benning, Georgia, and the dusty sands of the Turkish-Syrian border, this new suspense thriller runs side by side with the phenomenal series that has sold more than 50 million copies. New characters and situations are added to those from the already explosive Left Behind series to raise the tension to a fever pitch. With technical accuracy from the same people who create best-selling military thrillers, this new series will satisfy the fans of the original Left Behind series who are looking for more.